Samples and mason jars? What's not to love! Perfect for those just learning stranded knitting (or those who love patterns that are easy to memorize! 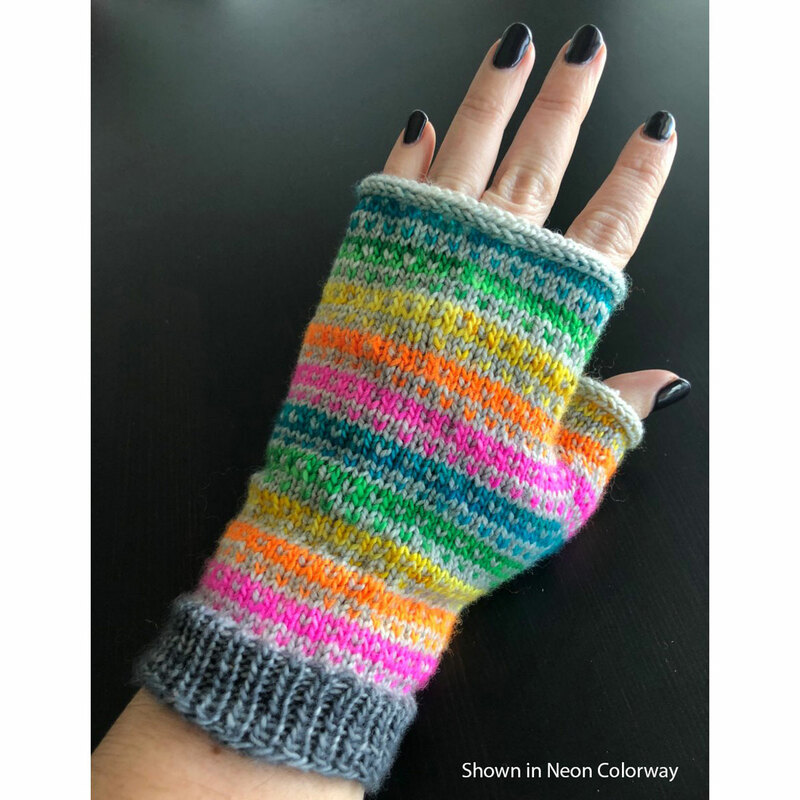 ), the Modicum Mitts Mason Jar Sampler consists of artfully arranged samples of Madelinetosh (Neons and Red & Pinks) or SweetGeorgia and CoopKnits (Muted Rainbow), along with size US 1.5 double point needles and the Ravelry download code for the Modicum Mitts pattern, designed by Rachel Roden. This muted mason jar sampler includes all of the yarn and needles required to knit the Modicum Mitts by Rachel Roden of Unraveled Designs: A large sample of SweetGeorgia Tough Love Sock in grey for the main color, plus 6 muted CoopKnits Socks Yeah! samples as contrast colors! 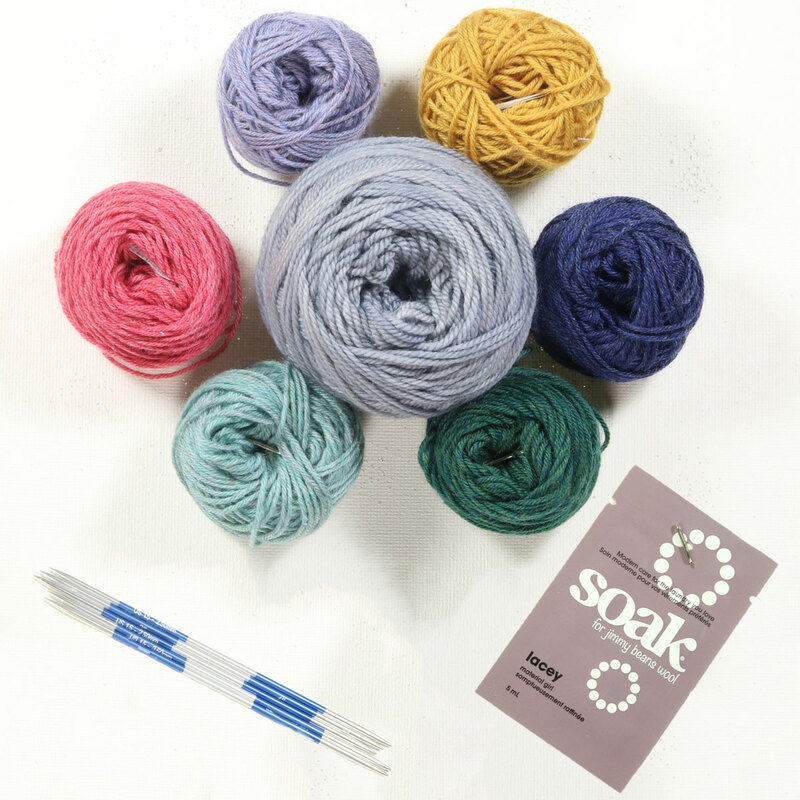 You'll also receive a set of size US 1.5 double point needles. 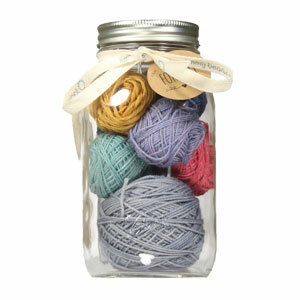 Use your mason jar like a yarn bowl - your yarn will stay securely in place without rolling away! Lorna's Laces The Shawl of Ice and Fire MKAL Kits and Jimmy Beans Wool Urban Reflection Wrap Bouquet - Crochet Kits are both similar kits: intermediate difficulty and kits.